Find a vacation home to rent in Giżycko County from our list of vacation rental properties. Campaya has over 10 vacation homes available in Giżycko County, which give you the possibility to locate a unique accommodation in Giżycko County which completes your check-list in search for the perfect self catering vacation apartments in Giżycko County or vacation villas in Giżycko County. 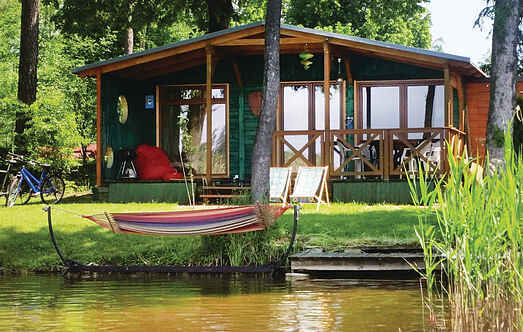 This solid, wooden holiday home is located a few metres from the lake. The home is in a holiday resort. You can rent a pedal boat and bicycles from the landlord. Large and modern apartment in a renovated apartment building. It has high ceilings and large windows. The apartment is welcoming and comfortable. This prettily furnished holiday home is on a fenced property and in a lush residential area. The ground floor is accessible by the disabled. This beautiful apartment is an apartment building on the first floor. The apartment is located in the city Giżycko- the capital of Polish sailing. This beautiful, wooden home is located in the little village called Wilkasy in Masuria. The home is tastefully furnished and is located on a shared, fenced property. This holiday home is on the first floor above the garage. The shared ground is fenced. The neighbourhood offers a lot of cultural activities. This small holiday home is situated in a small garden property. The home is modest and practically furnished. There is a small swimming pool for children in the garden.